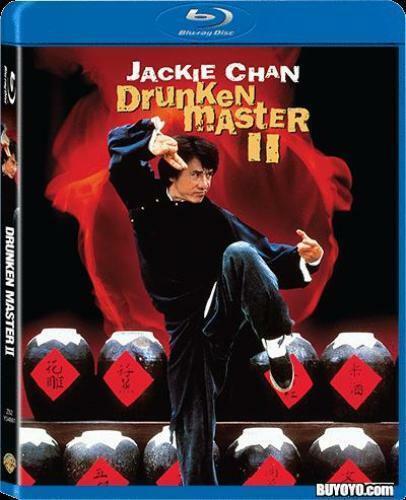 Cine-Asia are continuing to release Dragon Dynasty titles in the UK and this is the latest, Jet Li’s Tai Chi Master. Two orphans are raised at Shaolin, becoming great fighters and friends. After a misunderstanding, they are both expelled and go there separate ways one becomes a high ranking official of the corrupt government the other a freedom fighter. The two will eventually meet on the battlefield for one last life and death struggle. 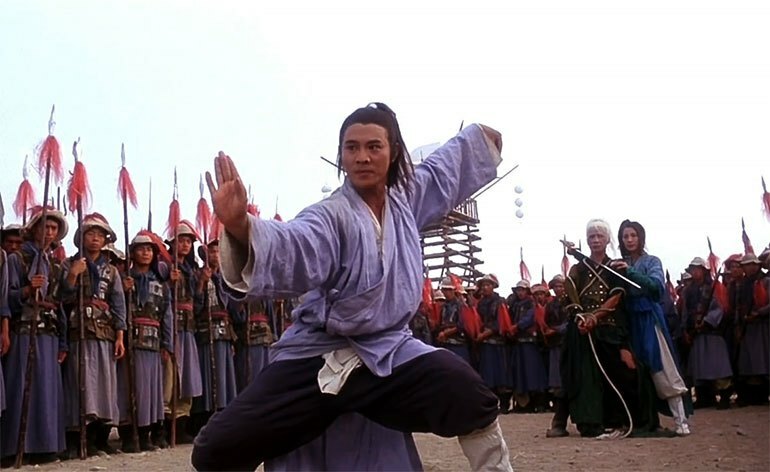 Yuen Woo Ping directs an interesting tale of friends separated by greed and power intercut with great fight action as you would come to expect. 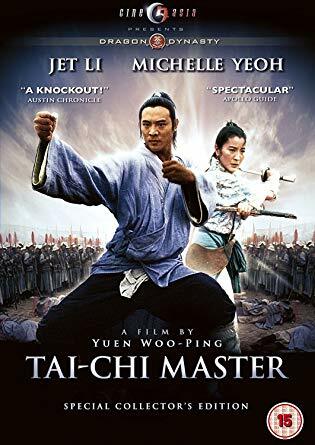 Jet Li and Chin Siu Ho are excellent in their roles, as is Michelle Yeoh who has been sadly missed from big screen combat action. The fights are marred slightly by overuse of wire work which is so over the top at times takes you out of the picture while other more grounded action is much more satisfying to watch. This is a direct port of the USA release and has its good and bad points. The picture seemed ok, anamorphic and remastered if a little grainy at times. The sound has a 5.1 remix which adds sounds to the mix which were not there originally, pointless and very annoying. The “original” mono track is no such thing as its just a down-mix of the horrid 5.1. Why advertise something which is totally untrue? Extras are good including a good audio commentary from Bey Logan, an informative interview with star Chin Siu Ho and a visit to the birthplace of Tai Chi, Chen village in China. Also two pointless interviews with Brett Ratner and Elvis Mitchell who discuss the virtues of the director and the stars. 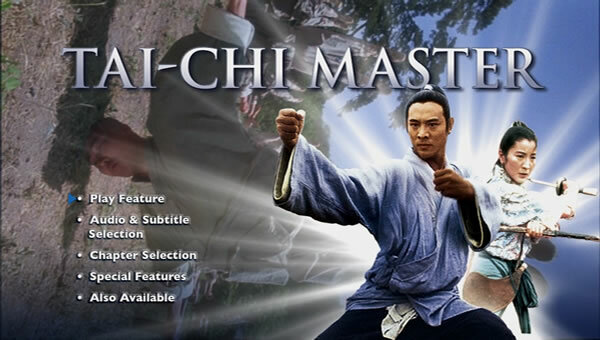 If your a fan of Tai Chi Master then this is the best version available at the moment even with the flaws in the sound mix. Also available on Blu Ray.